The Central Bank of Mexico has added some regulations to the daily financial services offered. Which is to restrict the services provided to cryptocurrency investors. A financial entity is required to identify all customers involved with the trading of cryptocurrencies. At which point the regular users will be sorted out from the professional users. For the participants that fall into these two categories, they will be given a demand deposit account, with extra identification data required. Bank accounts are restricted from regular and professional traders of cryptocurrencies, with additional validation check for any funds that are transferred to any crypto beneficiaries. 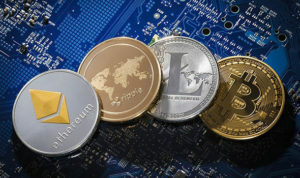 Any financial entity engaging in the use and therefore trading of cryptocurrencies must provide an accessible policy and the procedures used, in order for the prevention of any illicit proceedings from being transferred from crypto related accounts. The regulations in Mexico prohibits banks from making resources available to cryptocurrency users if accounts were opened on the same day. Especially if funds were deposited to the specified account. The Banks of Mexico have surveillance going 24/7 and is ready to intensify any monitoring of a particular client involved in cryptocurrency. The Central Bank has taken precautions and measures in order to prevent illicit activities like money laundering in the country. The banks have taken consideration however on the new policies as this can be detrimental to market efficiencies. This has caused crypto Exchanges in Mexico to express their views on Know-Your-Customer (KYC) compliance in combination with regulations, as this will slow down the speed of transactions for clients while making costs higher. Under the Finch Law in Mexico cryptocurrency exchanges are to comply with any additional guidelines presented by the Bank of Mexico. This is to set all the terms and conditions that are related to the custody and control of any digital currencies, assets and tokens. According to the Bank of Mexico, these crypto Financial entities will have the possibility until September 2019 to comply with all given guidelines, regulations and rules.